Has this happened to you? Your company has arrived,dinner is almost ready and you realize that you have forgotten something at the store. Grrr…..how frustrating. This weekend I fell into that very scenario. 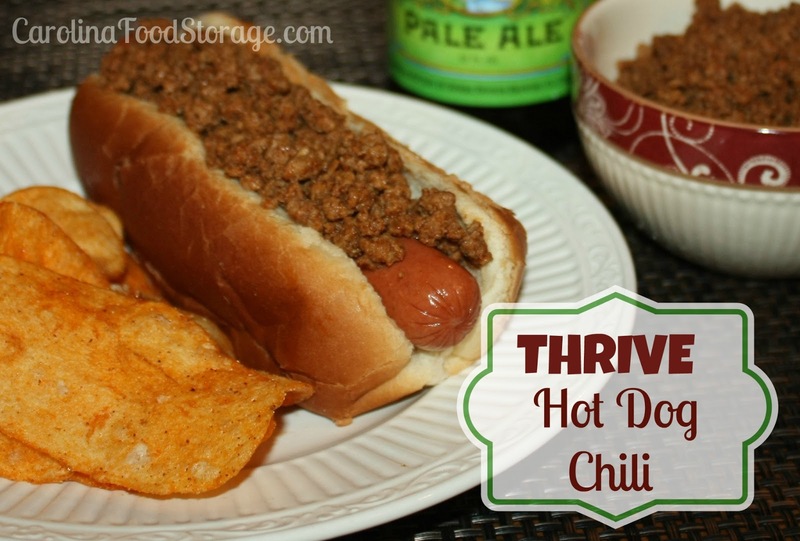 As the hot dogs were going on the grill I realized we didn’t have any chili and quickly thought about making my own chili with our freeze dried ground beef. It only took 5 minutes to make and tasted great. From now on we will definitely be making our own hot dog chili. Combine all ingredients in a sauce pan over medium heat for 5 minutes. Remove from pan and blend in a food processor until you reach your desired consistency. You can return the chili to your pan to keep it warm before serving.